Do I have to be a printing “expert” to work with you? Don’t worry. If you’re unfamiliar with buying printing, printing terminology or the production process, we’ll walk you through it. We’re excited to show you how to save money by printing in Asia or India. Is the Asian production quality up to my standards? Yes. You’ll get printing that is as good as or better than what you’re getting now. Our associates invest heavily in the latest equipment and technology. Their quality control standards are as rigorous as those of the top printers in North America or Europe . Many have ISO certifications. What is the standard delivery time for doing jobs in Asia? Production time frames are competitive (it’s not uncommon for printing plants in Asia to work 24 hours a day, seven days a week). Normal production time is 5 to 10 days after receiving your approval of the proofs, depending on the size and complexity of the job. You must also factor in the freight time: allow an average of 14-21 days for shipping by sea to U.S. West Coast ports. Inland transportation usually adds another 5 to 7 days. Delivery times to other countries may require slightly more or less time. If you need it faster, we can ship a partial by air for the cost of the airfreight. Is there a minimum order? If it a single color product, you normally need to print at lease 10 to15,000 pieces for cost effectiveness. If it is a full color product savings can occur on quantities as low as 2,500 pieces. It greatly depends on the page count, the binding style and the overall project complexity. Most of our jobs run between $10,000 and $500,000. Please refer to our “Get a Quote” tab for a more detailed breakdown of the minimal quantity guidelines. What format can I use for the artwork? Just about any format you want. Our pre-press capability is state-of-the-art. 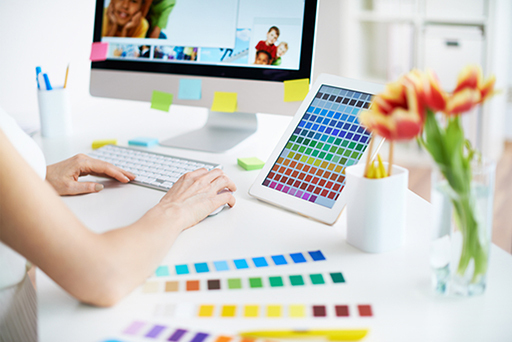 We can accept all of the standard media (Zip, Jaz, CD, DVD or upload to a factory server) and graphics software (QuarkXPress, PageMaker, Photoshop, PDF). What about special projects that involve more than printing? We have excellent vendors for the duplication of CDs and CD-ROMs, video and audiotapes and other items. We can also arrange the assembly of multi-component projects that require handwork, due to lower labor costs. 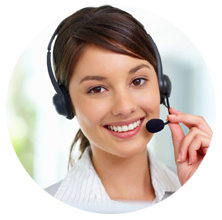 Just tell us what your requirements are and we can often help. How can I be assured of a high-quality job without a press check? 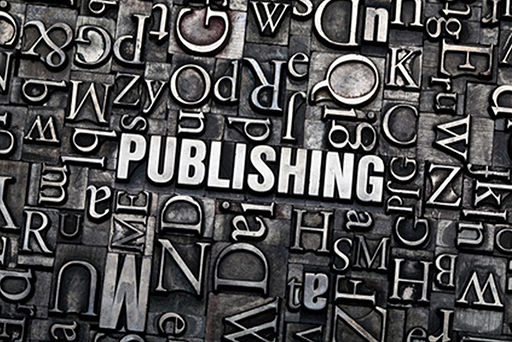 We provide a complete set of press proofs for all jobs, as well as a bound sample using the exact materials that you specified. Your final job will not be printed until you have approved the press proofs. In addition, either we or one of our associates can be at the press check. Can I or one my representatives attend the press check? Sure. Just let us know and we’ll make the arrangements. What kind of paper will my job be printed on? We can print on any paper you specify. However, you will get the greatest cost benefit if you use stocks manufactured in Asia . Several countries produce high-caliber papers from U.S. wood pulp. Remember, since you’ll receive a press proof printed on the same stock, you will know exactly what you are getting before the production run. If you ship by sea, do I have to worry about customs clearance and delivery from the port? No. We’ll take care of everything. Your order will be delivered to any address you designate. What if I want my job shipped to another country? We’ll deliver it anywhere in the world. Can I save money on color separations done in Asia? Yes. We can furnish top-quality color separations. However, with technological advances in pre-press and desktop publishing, the savings on the typical project are not nearly as great as they were just a few years ago. The major benefit of printing in Asia is that you receive color proofs and advance copies. We can help you with that free of charge as a customer service, and keep in mind you want to make sure it’s at least 300dpi at your final size! We do not, and you shouldn’t ever buy ISBNs from any resellers, since then they would be technically listed as the publisher on your book. Only buy your ISBNs at www.ISBN.org, the agency authorized to sell ISBNs. Can I get a discount since I’m a reseller? Amica Inc. is focused on providing the lowest possible prices for all of our customers, and as such we are sadly not able to offer additional discounts to resellers. Can I get a discount for my non-profit? Amica Inc. is focused on providing the lowest possible prices for ALL of our customers and unfortunately we are not able to offer additional discounts to non-profits. Amica Inc. is a company based just outside of Seattle Washington. This office is home base for our customer service, prepress, marketing teams. Our Chinese office is located in Hong Kong, China and Vietnam, handling printing, quality assurance, and logistics. Amica Inc. has been an established printer here in the USA for over 25 years. Amica Inc. is an American-owned and managed printing company offering our clients quality printing. We have an office in the USA that handles customer service and pre-press, and an office in Hong Kong, China and Vietnam to handle our vendor sourcing, quality assurance, and logistics. Will you communicate and update me after I place my order? Yes, you will be receiving updates from us with information about your order. Changes to your order may be able to be accepted within a very short period as long as we have not started the printing. Will Amica Inc. accept wire transfers? If it’s for large orders (generally over $10,000) we can accept a wire transfer. Yes, again as long as the card has an American Express, Visa, MasterCard, or Discover Card logo we are most likely able to accept it. Amica Inc. accepts all major credit cards, as well as PayPal and we can also accept payment via company check, sent to our Seattle office. We will always try our best to provide a discount for reordering or at the very least better terms if a customer needs them. Amica Inc. accepts all major credit cards, PayPal, and company checks, we require payments in three segments to provide trust and transparency to our customers. One third when we take your project, a contract is signed and we begin the proofing process. One third when you receive and approve the proofs; giving approval to print. One third (final) once the books arrive. We have done this for over 25 years and customers feel secure and protected with this method of payments. We work with honesty and integrity and want to protect both side in business. Amica Inc. does all of our printing in Asia; it doesn’t take any longer for us to produce your project, it’s just getting it here that uses-up most of the time. Once we finish your project, ocean shipping typically takes five to six weeks to get from the factory to most American addresses, however undeniable factors including unplanned customs inspections, weather occurrences, and labor disputes are out of our control and can add weeks of shipping time with little to no notice. Unfortunately no company can, standard ocean shipments cannot be guaranteed, due to elements outside of human control. There could be random customs inspections, weather occurrences and labor incidents can all influence shipments off of their timelines and there’s no way to prevent them. Can you ship to foreign countries? Amica Inc. can ship most countries around the world and if requested we will quote door-to-door orders to the USA, Canada, Europe as well as Australia, and New Zealand thru a custom quote. Basically, this depends primarily on your project’s quantity, size and weight. Our air shipping takes roughly one week, while our standard ocean shipping takes around five weeks. Please understand that standard ocean shipping times cannot be guaranteed. Advanced air shipping delivery dates can be guaranteed for a fee. You’ll want to check on our turnaround times, but typical you’re going to need time for prepress, print production and shipping, which usually is anywhere from six to ten weeks contingent on your project’s requirements. Can I print my monthly catalogue, magazine or comic book with you? Regrettably, our longer lead times we aren’t the best for monthly publications. We are primarily set up to work with catalogues, magazines and comics who publish bi-monthly or quarterly or who have their issues planned and ready to print further in advance. If you can create and submit your completed design at least eight to ten weeks prior to distribution, we can most certainly deliver your publication on within your timetable. 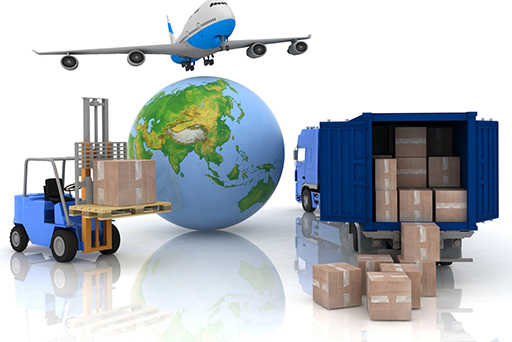 We are able to quote most custom freight quotes within one week. How long do your custom book quotes take to complete? Most of our custom book quotes are able to be quoted within 48 hours, however very intricate quotes may take additional time. How long does a game quote take to complete? Most games are able to be quoted in less than one week, however very complex quotes may take some additional time. Do you offer proofreading services? Actually we do not, we prefer our clients insure their files submit are correct. We do examine your files and we also we “preflight” your document to make sure all fonts and graphics are linked, embedded, and ready for the printing process. Do you offer hardcopy proofs also called ink-on-paper proofs? We do if requested for very high-end projects, though we recommend our digitally-printed proofs which are highly accurate due to the recent developments and advancements in technology. We can create a layout template for our clients when requested. Do you have graphic designers on staff to help me design my book? Yes we do and they can help you with technical aspects of your book, relating to design, layout, templates and other printing questions. You can easily upload them to our FTP server and we will send you easy instruction on how to do that with ease. We like to take your native files and can walk you through the process to make sure everything is setup correctly. Why are there color variations in my print run? If possible, your books can be stored in the boxes they were shipped in, which are sealed and therefore more protected from environmental fluctuations. Once your boxes are opened, your books should ideally be stored at around 68 degrees Fahrenheit, in a space with 30%-50% humidity, to avoid degradation and/or warping. Amica Inc guarantees that your order will be free from defects within a 1% variance. Our quality control team catches defects if any before they leave the factory, and most orders actually ship with more copies than ordered. Yes we do, all of our prices quotes are custom quoted making sure you receive the very best prices; we can handle most any custom size. Can you print a run of less than 250 copies? 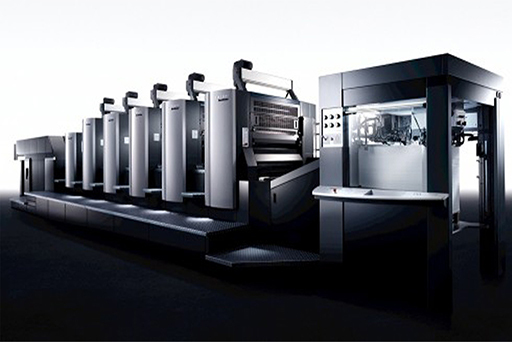 Because Amica Inc. is exclusively a sheet fed offset printer, 250 is below our minimum order size, we usually can start at 1000 and go as high as you need, even to 100,000. We cannot print pornographic due to restrictions on content placed on the printing industry we work in. What happens if you mess up my book? Amica Inc’s printing is backed by our satisfaction guarantee. Your book will be 100% free of any technical or production errors, and made to our quality standards. We encourage our clients to make sure their files are accurate, and then your finished product will be the highest grade printing available. Shipping: With all production facilities running 24 hours a day / 7 days a week, more than one printing plant, utalizing state of the art equipment and great versatility of production, provides lead and turnaround times much faster than our compatitors.